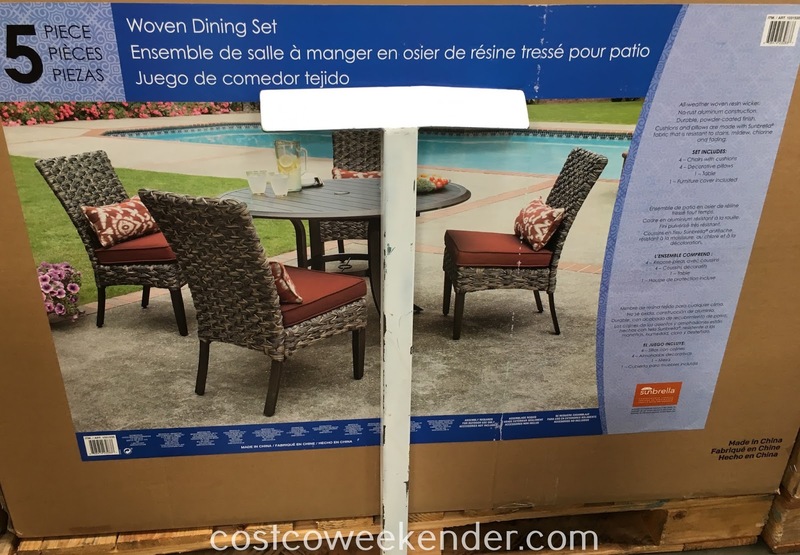 If you are one of those people that like being outside in the backyard, then you would know that having a good patio set is a necessity. 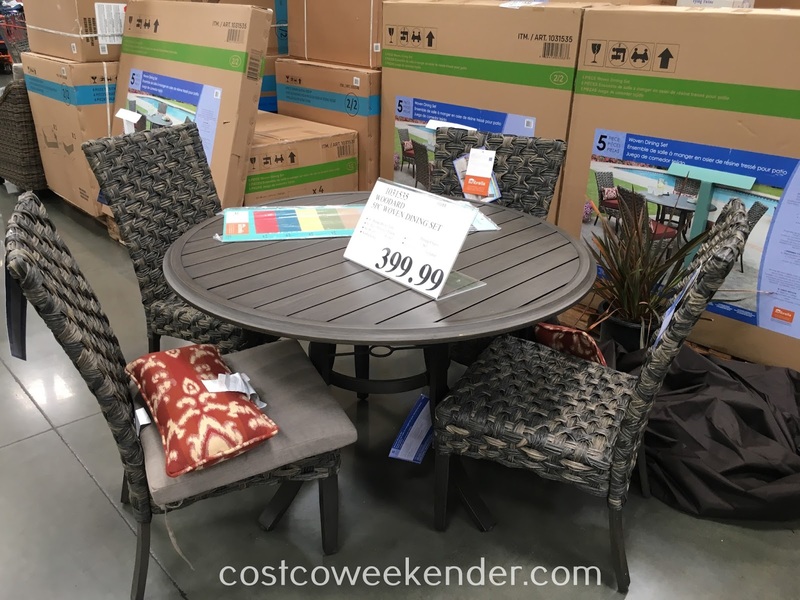 After all, good outdoor furniture will only give you more of an incentive to be outside. 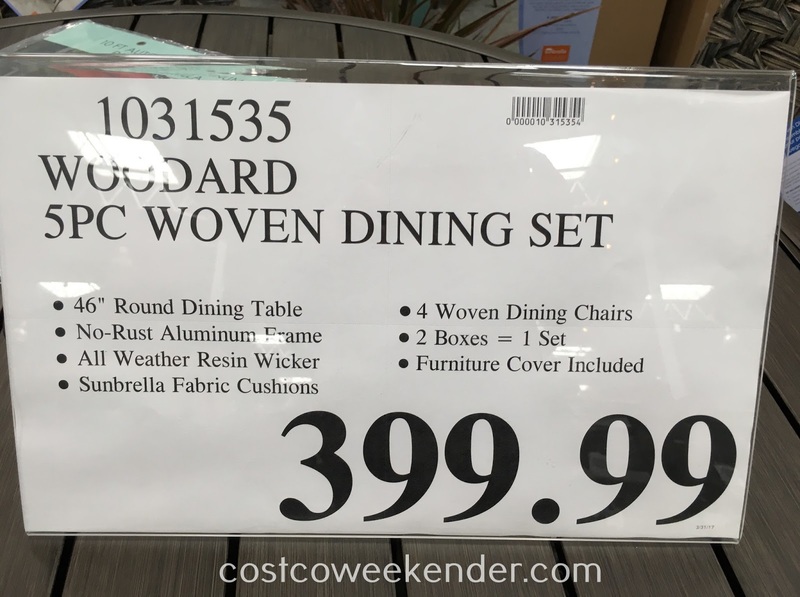 A good set like the Woodard 5-piece Woven Dining Set will definitely make it more conducive to do so. If you didn't have good patio furniture, then you probably would prefer to stay inside where it's more comfortable. 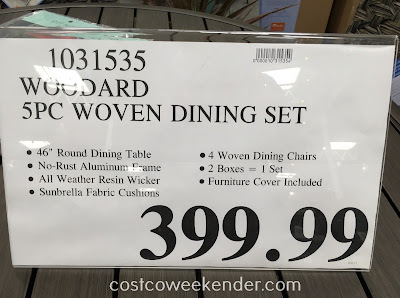 With the Woodard 5-piece Woven Dining Set, you can dine outside, have your morning coffee while reading the newspaper, or just work on the laptop when the weather allows it. Because the Woodard 5-piece Woven Dining Set was meant for the outside, it'll be sure to withstand the wear and tear or the elements and the woven design only adds to the outside decor of your backyard or patio.